For roofs on buildings of rectangular plan with trussed hip ends or dutch-hip ends, the steelbrace for standard trusses shall be required between the apex of hip ends only. 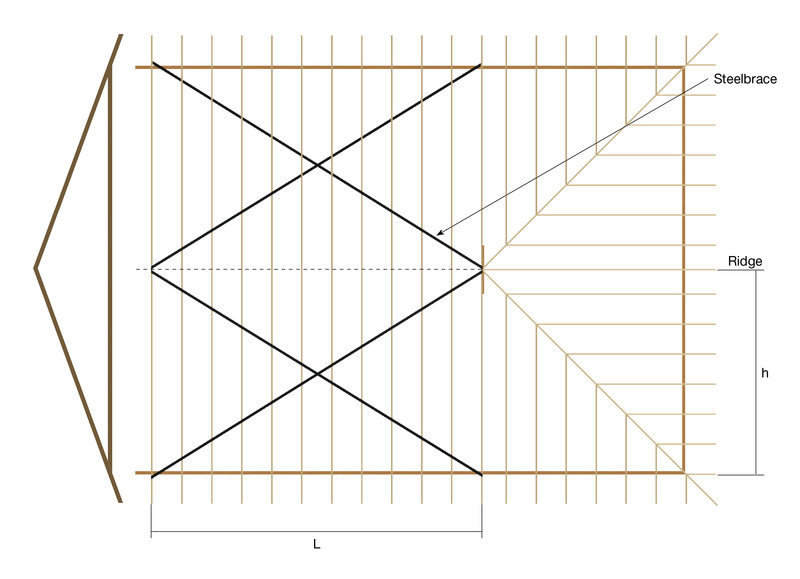 In such cases the roof Length (L) shall be taken as being the distance between the two intersections of hip and ridge line at each end of the building. One of the criteria from section 13.2 to 13.4 shall then be applied as shown.